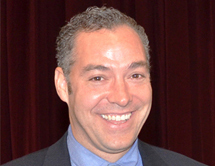 Ian Urbina is an award winning investigative journalist for The New York Times. Based in the Washington Bureau, Urbina has reported on many high-profile issues, producing exposés covering a wide range of worker safety and environment issues. In 2015 Urbina penned a gripping and highly acclaimed six part series called, “The Outlaw Ocean,” which revealed the shockingly lawless state of the world’s ocean, especially the high seas. To gather his stories Urbina traveled through Africa, Asia, Europe, and the Middle East, where he spent much of his time on fishing ships, chronicling a diversity of offshore crimes including the killing of stowaways, sea slavery, intentional dumping, illegal fishing, the stealing of ships, gun running, stranding of crews, and murder with impunity. Investigative journalism at its best calls the powerful to account and exposes wrongdoing that ushers in change. Importantly, the impact of Urbina’s groundbreaking journalism on U.S. and global policy has been swift and consequential. Immediately following its publication, a bi-partisan group of U.S. Senators asked President Obama to include tracking labor conditions on fishing boats in the administration’s plan for traceability in imported seafood. Secretary of State John Kerry (2015 Benchley Award winner for Policy) cited “The Outlaw Ocean” series as rationale for the State Department’s decision to give Thailand the lowest grade on human trafficking and for rethinking how the US can broaden oversight of seafood as it enters American ports to account not just for environmental crimes, but also for labor concerns. Congress sent a letter to the National Oceanic and Atmospheric Administration, urging the agency to focus not just on illegal fishing but also on preventing slavery in the fishing industry. Before joining the New York Times in 2003, Urbina was in a doctoral program in history and anthropology at the University of Chicago, where he specialized on Cuba. Urbina’s reporting on such issues as the Gulf oil spill and the dangers posed by natural gas and oil industry fracking have drawn awards and praise from many corners, and several of his investigative pieces have been adapted to film.